Would you spend $50,000 or more on open heart surgery to save your pet’s life? Isn’t your 24/7 best friend dog more valuable to you than a new car in the garage? $50,000 for open heart surgery is a rip-off but they know your 24/7 best friend is as valuable to you as a new car. The Cavalier King Charles Spaniel is among the most appealing breeds, with soulful eyes, long silky ears, and a kind loving heart. 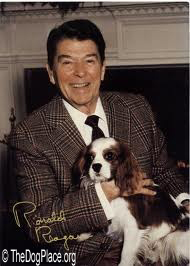 The breed was a favorite of President Ronald Regan and it is easy to see why “Charlie’s” big eyes and loving expression touches our hearts. But sadly, it is the Cavalier King Charles Spaniel’s heart that brings him into this discussion. Not the only purebred dog with this mitral valve heart defect but it seems to be the most frequently referenced for this heart problem. I’m not sure about the English Toy Spaniel because there wasn’t much about the breed except that it isn’t the same. The point is that there used to be only heart medications and the accompanying side effects but there now seems to be a surgical solution for this heart valve defect. First, a little background, then I’ll tell you how one wealthy owner gives others hope. ii Canine Mitral Valve Disease (instant information) occurs in both dogs and cats, which is how I learned about it. 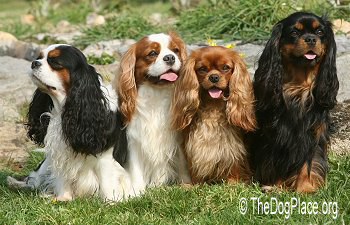 I lost my cat to MVD and in researching it, I learned that MVD is the leading cause of death of King Charles Cavaliers and I assume, the smaller version, English Toy Spaniels. What a shame, they are such a soft, soulful breed but the heart valve defect affects an astounding number of dogs of all breeds. The mitral valve is one of four heart valves that keep blood moving in the proper direction. Healthy heart valves open and close as the heart pumps blood whereas faulty valves can impede sufficient blood flow or let blood leak in the wrong direction, a problem known as regurgitation. I learned about a devoted dog owner whose story is a headline for insufficient veterinary surgical advances in the U.S. Kim Campbell Thornton had already lost one Cavalier to inherited degenerative mitral valve disease so when her 9 year old spaniel started coughing, she knew what it meant. Mitral valve dysplasia is a common congenital cardiac defect in cats and MVD is the leading cause of death in Cavalier King Charles Spaniels. Mrs. Thornton took her dog to the veterinarian as she suspected, chest X-rays revealed an enlarged heart. The reality of the diagnosis was heartbreaking. Mitral valve repair surgery is common in humans but even in 2017 any kind of open heart surgery is still rare in veterinary medicine. So here’s the question. 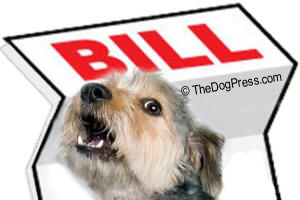 How much is your dog worth? To the Cavalier owner, money was no object. The biggest obstacle was the difficulty in finding a solution for her dog’s progressive heart disease. With her veterinarian’s help they located a veterinary cardiologist in France and the owners had the financial means to fly their dog to Versailles France. Their beloved Cavalier went through literally “heart stopping” open heart surgery lasting nearly 10 hours but the mitral valve was fixed! All in all, the article said the trip cost them $100,000 but they could afford it. Was it worth the money they spent? 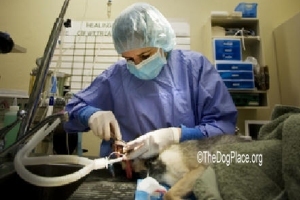 Would saving the life of your beloved dog be worth as much as a facelift or home makeover? If it was one of my cats, I wouldn’t hesitate although I could use the facelift. I know this - if my cat died and I could have prevented it, my face would be forever sad and I couldn’t face myself! So if your dog is having this heart valve problem and the vet says there’s nothing he can do, you can take that pricey vacation in France and save your dog’s life. Or with any luck, you can find a veterinary university here that knows how to do the surgery. 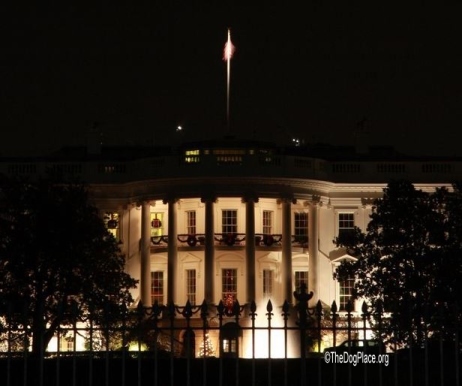 A President's dog reveals more about his personality and character.